Response to article entitled, "Chiefs' leader disowns bid to recall Ndiweni", published on March 6, 2019. I refer to the above article which was published on March 6, 2019, (also available online). I was therefore disappointed to read the above article as it was not well researched and I value freedom of the press in a sound democracy. During former president Robert Mugabe times, I stopped the government from installing Felix Ndiweni as chief through an injunction in the High Court. I also spoke with the present President not to instal Felix Ndiweni as a chief; he agreed with me and the matter was suspended indefinitely. For your own information, chiefs are not selected by the government; they are born within a clear hereditary line. I refer to the Substantive Leaders' legislation within the framework of Zimbabwe's Constitution. In Matabeleland, generally, first borns are the first to "pick meat" when eating with siblings and have a say when lobola is demanded even when the father is alive. This is not a privilege, rather it is a responsibility. The concept is that in times of scarcity it is the first born's duty to share his portion with his siblings. Furthermore, the first born is always the first born, whether dead or alive and irrespective of geography. This is part of our ethics. If people in Matabeleland ignore that, we will lose our identity. This norm was only ignored at the time of the Land Apportionment Act when whites would appoint anybody who could spell English words or say the Lord's Prayer. Fortunately, the Land Apportionment Act was superseded by the Law and Husbandry Act whereby Africans possessed land corporately under a chief and their ethics (culture) were respected. 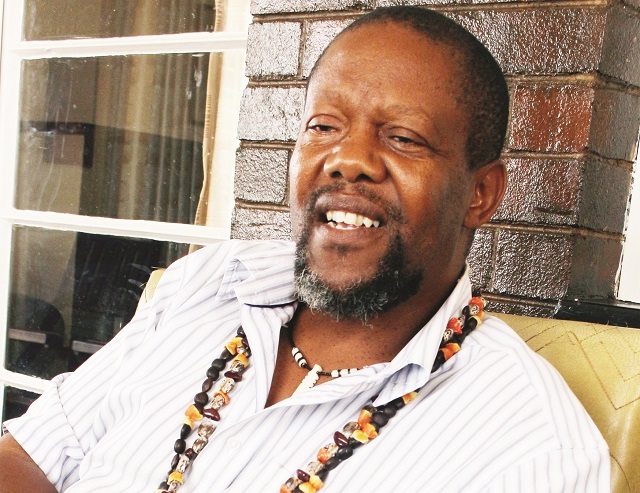 Within the present Zimbabwe Constitution and culture, Felix Ndiweni has never been and never will be a chief. That is why you have not heard anyone from Ntabazinduna speak about Felix as a chief. I do not see why Ndiweni boys - four of us - should quarrel about chieftainship or food because we never went hungry and were brought up to fend for ourselves. Further, I do not see that anyone can go to my father's kraal and talk about chieftainship without my permission. As the Zulu say: Akulandlu engaginya enye Indlu (almost the same saying that the English have: an Englishman's home is his castle). It would be sad if I were to put an injunction on my family name and family, like Nelson Mandela did with his family. I am sure you have a good summary of information to educate the younger generations of Matabeleland.